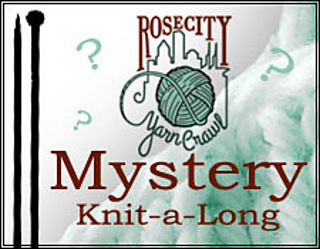 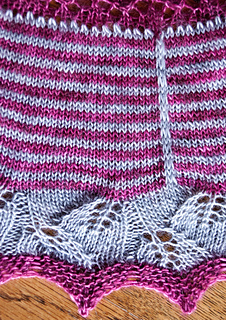 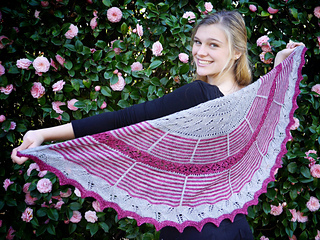 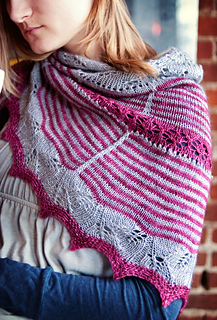 This pattern was originally released as the Mystery Knit-along for the 2014 Rose City Yarn Crawl. 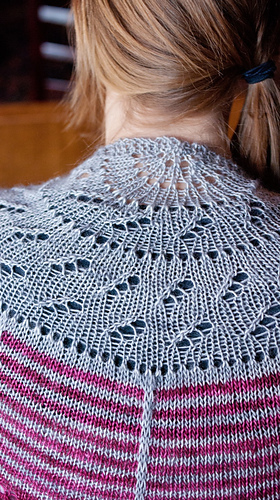 Yarn requirements: approximately 335 yards MC, 240 yards CC. 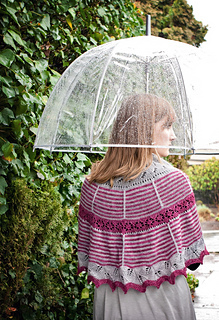 If you start with 2 100g skeins of contrasting colors, you should have plenty of yarn for this project! 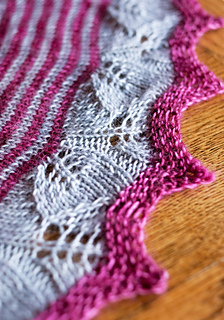 Finished measurements of original pink shawlette: 48” wide by 24” deep. 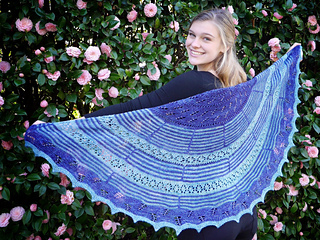 Blue shawlette measures 58” wide by 29” deep. 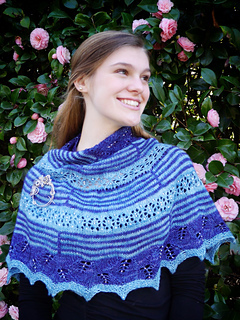 Updated pattern from PDXKnitterati gives detailed instructions for additional beading and extending size of the shawlette.